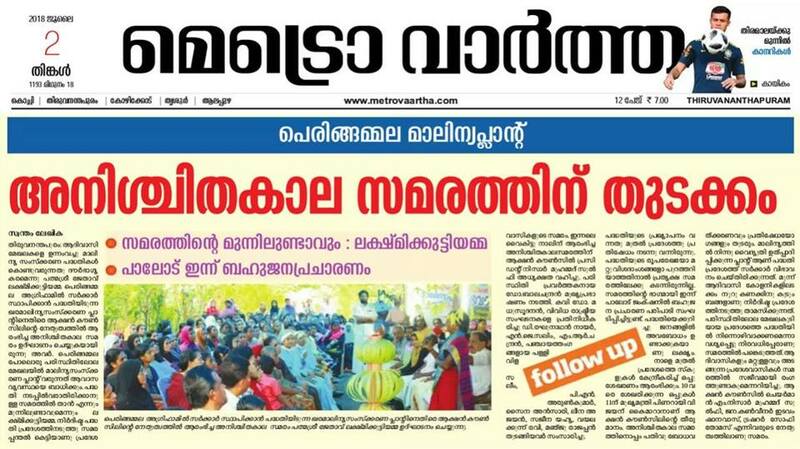 Peringammala in Thiruvanathapuram is forest land and tribal people in the area have started a protest against the setting up of the power plant. AS local bodies run out of options on how to manage municipal solid waste, the state government has proposed the establishment of seven waste-to-energy plants. But just like the plant at Brahmapuram in Ernakulam, the green activist has raised concerns over the ambitious plan. As per a government order dated June 11, 2018, an advisory committee has been appointed to oversee the proposal. Based on reports submitted by Collectors, the government has earmarked land in seven districts. Power plans with a capacity of 5 MW will be established at the sites based on the public-private partnership model. Kerala State Industrial Development Board has been designated as the nodal agency to set up the plants. While environmentalists applaud the concept of turning waste into energy, they have also raised some concerns. In a reply to a question raised by Karnataka MP Nalin Kumar Kateel in the Lok Sabha on December 28, 2017, the Minister of New and Renewable Energy replied that only six waste-to-energy plants based on municipal solid waste were established in the country, while other such plants were on agricultural, industrial or urban waste. In total, the six plants generate 65.75 MW. Meanwhile, locals have also raised concerns about the project sites. Peringammala in Thiruvanathapuram is forest land and tribal people in the area have started a protest against the setting up of the power plant. Residents of Lalur, who had fought for years against the trenching ground here, are also gearing up for another agitation. 2/7/2018_ഇന്നത്തെ മെട്രൊ വാർത്തയിൽ പത്മശ്രീ ലക്ഷ്മിക്കുട്ടി ‘അമ്മ പാലോട് വേസ്റ്റ് ടു എനർജി പ്ലാന്റ് വരാൻ പോകുന്ന സ്ഥലം സന്ദർശിച്ചു സമരക്കാരെ അഭിസംബോധന ചെയ്ത വാർത്ത_Courtesy: Sali Palode. Green activists point out that an environmental impact study and socio-economic impact study should be conducted before implementing the projects. Drying and burning waste may affect the environment. 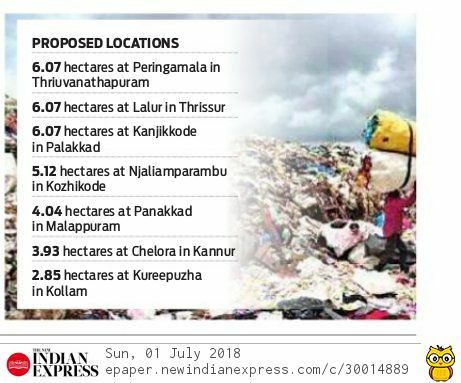 In Kerala, where it rains for six months, municipal solid waste is wet, unlike other states, which again causes a worry. Sanjeev S J, an environmental activist who supports the protesters in Peringamala, said, “When we enquired about the project, even the panchayat authorities were clueless about such a project.” He alleged that vested interests are behind the undue haste in clearing the power projects.